Flying fish would often litter the deck in the morning. On night watches ricocheting fish made you want to take cover. 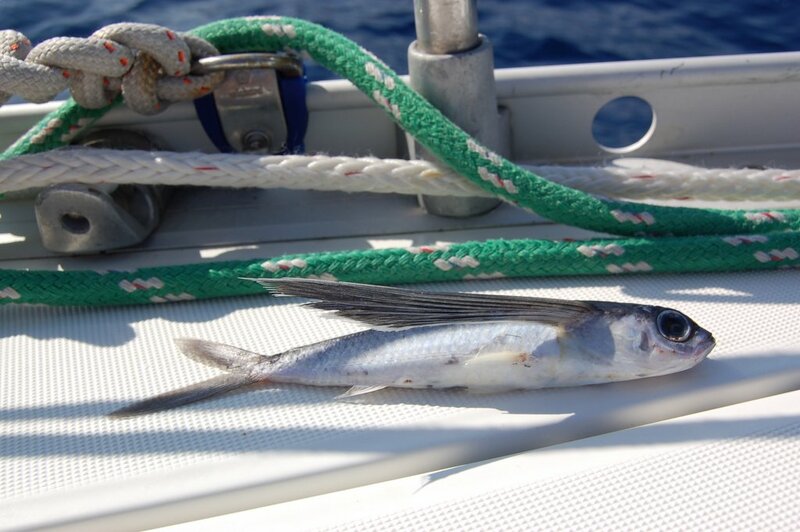 A flying fish is 5-6” long.